WHEAT Flour, Water, Yeast, Rapeseed Oil, Calcium Carbonate, Iron, Thiamin, Nicotinamide, Emulsifiers (E471e, E472e), Salt, Dextrose, Flour Treatment Agent (E300). Products from the Love Local Baker are not suitable for customers with an allergy to Nut, Sesame, Milk, Egg, Soya & Cereals Containing Gluten due to manufacturing methods. 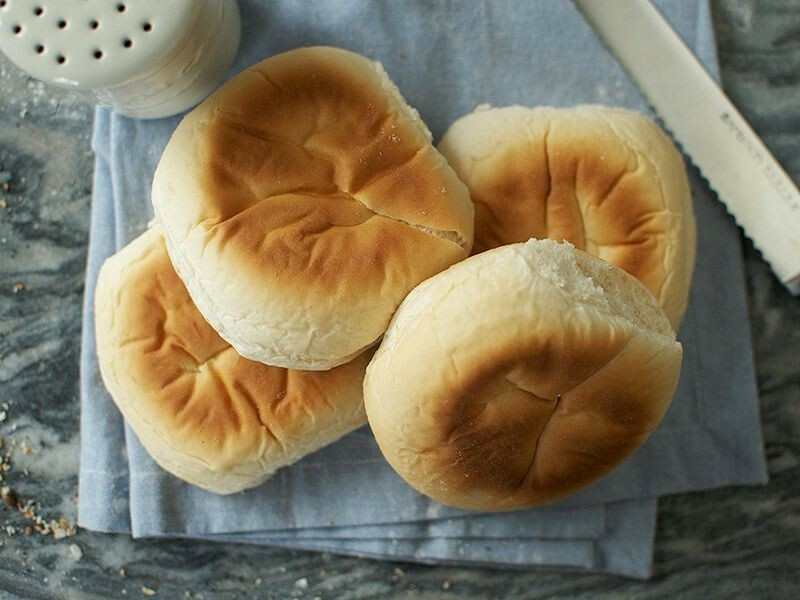 These thick and hearty oven bottom barms have a golden mark on them from where they were baked in the tradional way. They make a great alternative to bread when making a sandwich.